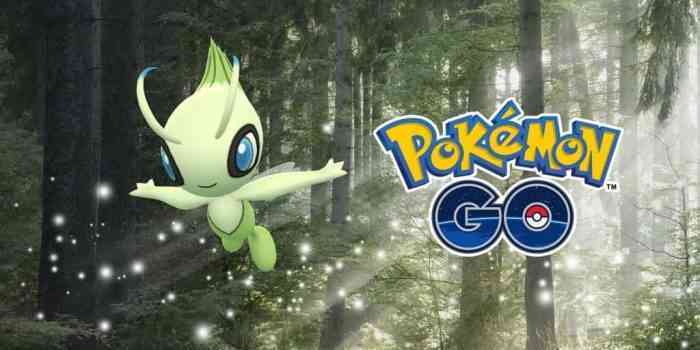 Second Gen legendary and star of this year’s GO Fest in Chicago Celebi will finally be available to Pokemon GO players everywhere along with new Special Research tasks. Starting this coming Monday, August 20th, Celebi will be rewarded to players who complete the new series of Special Research quests, along with “the appearance of more Pokemon originally discovered in the Johto region.” Players who already managed to snag a time-traveling legendary at GO Fest in Chicago will receive candy to power up their Celebi instead. The new questline will be available to players who have completed the third group of tasks in the Mew related Special Research. A free Celebi shirt will be available as well, along with Heartgold and Soulsilver outfits being unlocked for players who progress through the Johto medal. Pokemon GO is currenty hosting it’s first trading event until August 19th in which trades cost less and grant more candies, and Niantic recently detailed September’s Community Day taking place on the 22nd of the month featuring Chikorita, the grass starter from Gold and Silver. Niantic also recently gave hope to players who have been clamoring for PvP, and teased the upcoming inclusion of Gen 4 Pokemon. Let us know if you’ll be catching Celebi in the comments below and stay tuned to COGconnected for all the latest gaming news!